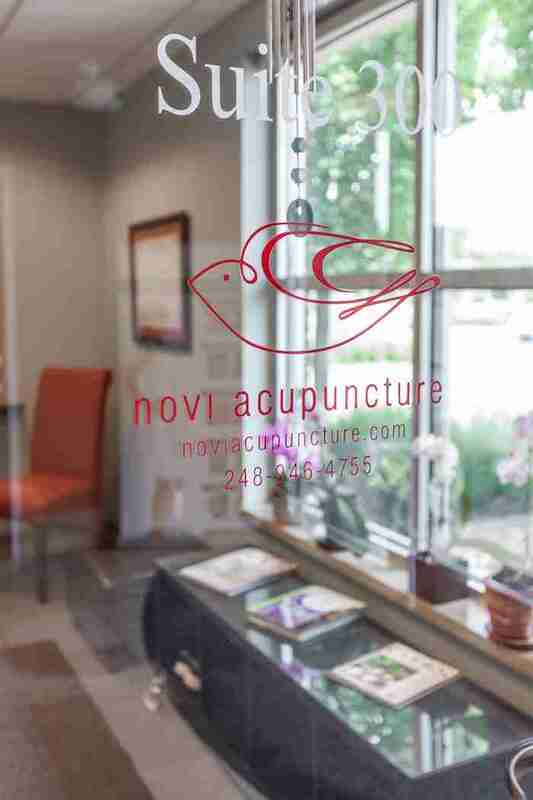 Novi Acupuncture, currently the acupuncture practice of Terri Matson, is located between Ann Arbor and Detroit, with easy access to both. With an active and health-conscious population and consistent return business, the opportunity to have an abundant practice drawing from two major cities is available from the moment you step in. Imagine making almost $180,000 per year working 4 days per week, with abundant time off and ample time for vacation. The reputation and location of this practice keeps a steady flow of new patients streaming in. Low overhead, years of records, and consistent patient flow mean you’ll continue to keep your costs predictably low. Add more hours, hire an associate, and/or sublease some of your space, and you have the chance to add even more success to an already prosperous practice. 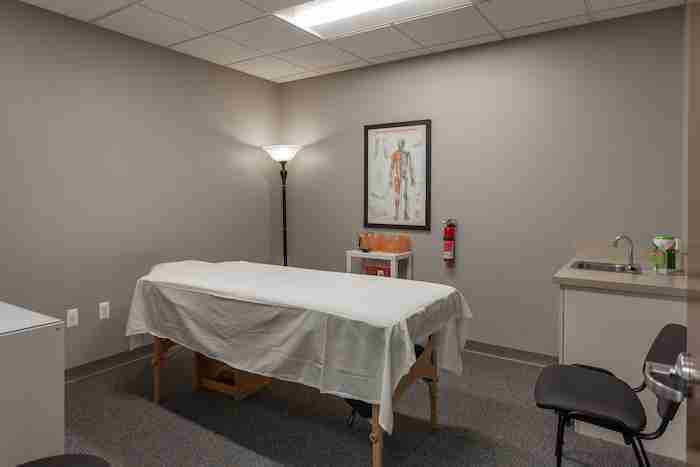 Whether you are a practitioner who is just starting out, or an established clinician with some years under your belt, Novi Acupuncture offers you the chance to hit the ground running. Step into this rare, once-in-a-lifetime, turn-key opportunity to run the practice of your dreams. Call or email us today, come by and spend some time with us, and be thriving by the end of the summer. The community of Novi is equidistant between Detroit to the southeast, and Ann Arbor to the southwest. The combined Detroit-Ann Arbor metropolitan area contains most of the state’s population, all within reach of our office. The town itself is the headquarters of many international companies, has one of the most diverse populations in Michigan, and is often visited by residents from near and far for its well-known retail establishments. Novi has also been recognized by Money Magazine as one of the “50 Best Places to Live” due to its exceptional public schools, affordable housing, and access to amenities. 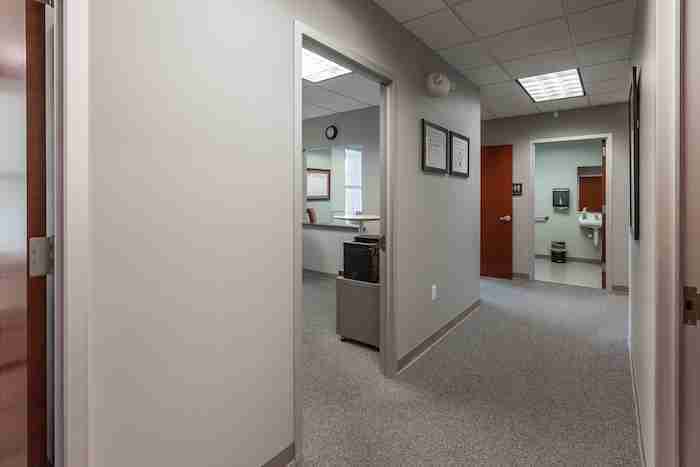 The 1,000+ square foot office sits in a busy medical park complex that includes MDs, DOs, dentists, chiropractors, and therapists, among others. 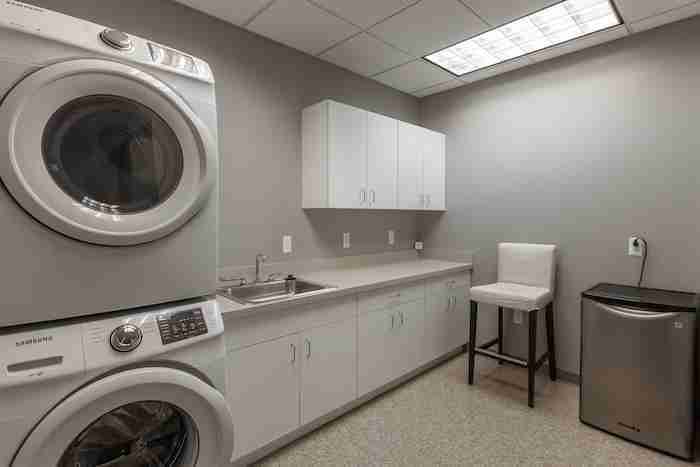 The space consists of a beautiful reception area; three treatment rooms; a reception/storage room that could be converted into an additional treatment room; a kitchen, which includes a washer/dryer and refrigerator; a large accessible bathroom; and a mechanic/storage room. There is an abundance of free parking, and each room has many amenities, including separate volume controls for the speakers. 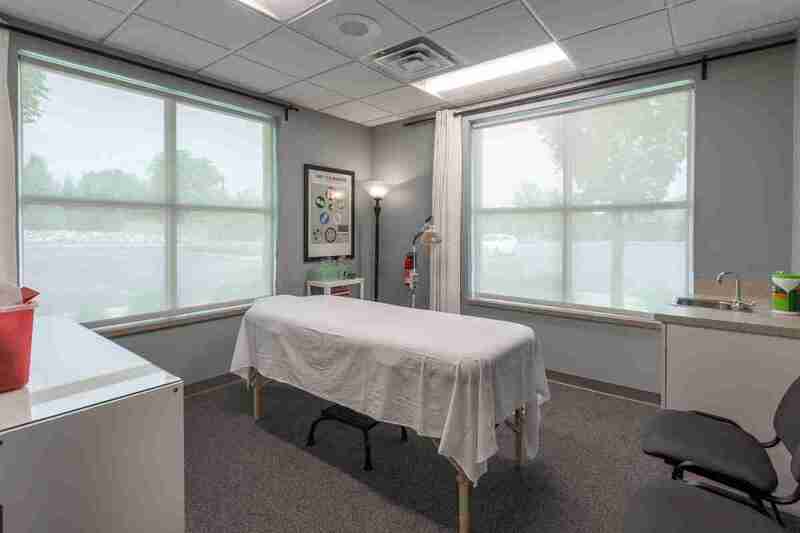 The space is modern and tastefully decorated, and the clinic maintains a close relationship with nearby health providers and the local community, from which it receives many of its referrals. 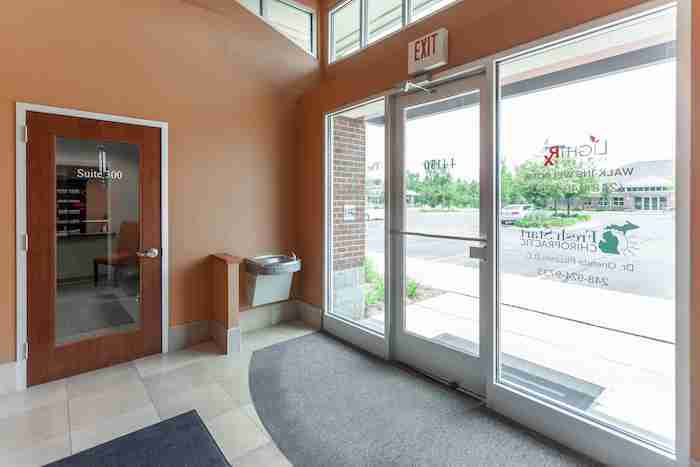 Novi Acupuncture is a non-specialty practice, where we see everything from subclinical and acute orthopedic conditions to chronic issues that have not responded to other medical interventions. Though we see patients of all ages, the majority of our patients are women between the ages of 30 and 60. We currently average 12 patients per day, and the current schedule can accommodate about 50 per week. Approximately 60% of patients pay cash and 40% have insurance, specifically veteran benefits. We have a wait list and more patients than we can handle, so we have been referring overflow out to other practitioners. Most of our patients are from communities within 25 miles of our office. The vast majority of our patients are referred by word-of-mouth, with a smattering coming through our online presence. The current owner’s pre-acupuncture background was in macrobiotics, and nutrition continues to be a big part of her practice. Though her training was in Five Elements Acupuncture, she has also studied standard TCM, and applies Richard Tan’s Balance Techniques and eight extraordinary meridian therapies as needed. Gua sha is used for most orthopedic complaints, and cupping for many as well. Between 15-20% of patients are given popular herbal medicine and supplements in various forms. The following income and expense summaries are derived from an average of 2015-2018. Note that Ms. Matson works four days per week. Average $124,986/year ($10,416/month) – More than 70% of revenue is profit after expenses. $88,900 OBO. Our price is based on a conservative professional valuation of over $130,000, with an average yearly gross of more than $178,000 for the past several years. The current owner will also transfer to the new owner all clinic-related intellectual property, including the clinic phone number, website, Facebook page, claimed Yelp page, billing and medical records, and clinic-related financials. The current owner’s goal is to surrender the practice by the Summer 2019. She would be willing to stay on for a limited time to train a new owner in his techniques and to assist in the transition, if so desired by the new owner, at no additional cost. Work more hours. Given that the current owner only works 4 days per week and takes many days off per year, working more hours would obviously increase revenue. Add additional practitioners. 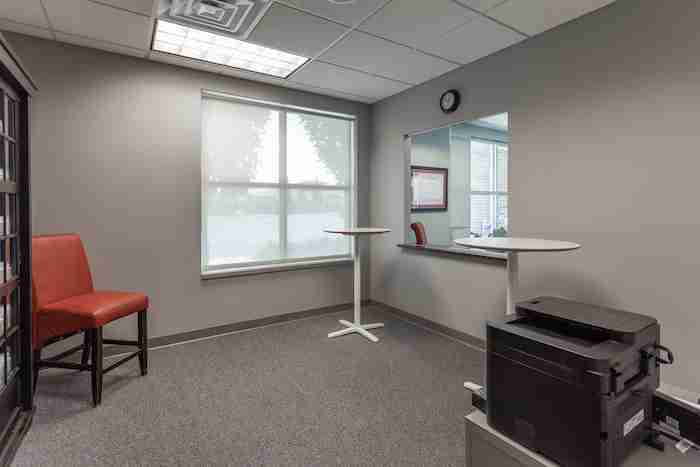 In addition to or in lieu of working more hours, the practice could easily support at least one more provider during the times when the office is unoccupied. Given the large size of the office, two practitioners could also work at the same time. 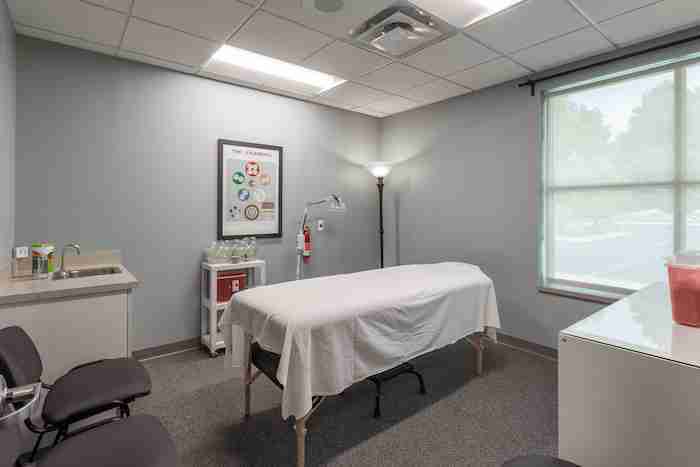 Add additional treatment room. 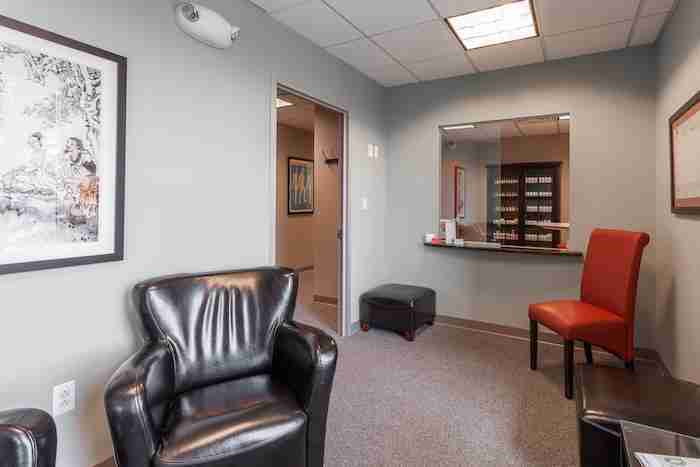 The current reception area could easily be converted into an additional treatment room. Sell more products. 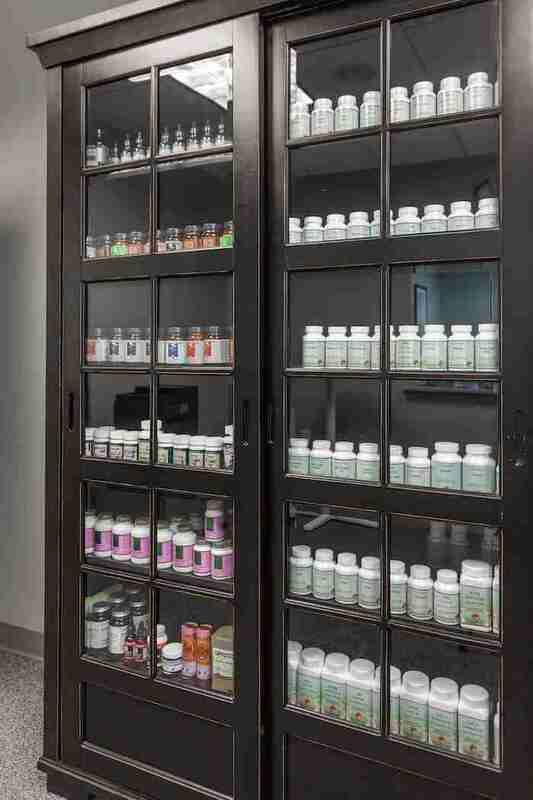 Only 15-20% of our patients currently take a limited smattering of herbal medicine. Giving a greater percentage of patients the option of supplements offers another opportunity for increased revenue. Reception area. Can be converted into another treatment room. Treatment Room #1 NW exposure. Treatment Room #2 W exposure. Take advantage of this exceptional opportunity to run your own high-profit, low-maintenance clinic. Fill out the contact form below, call (248) 563-9995, or email terrimatson@me.com today.